"N7 Day" will see the launch of the Mass Effect Trilogy and the debut of the original Mass Effect on the PlayStation 3. N7 Day is coming! What's N7 Day, you ask? November 7, for one thing, but also a "worldwide celebration of the Mass Effect franchise," which will feature a variety of in-game, online and even live events. Don't feel too bad if you've never heard of it, because this year's event is the first. It's also a good way to drum up attention for the Mass Effect Trilogy, which puts all three games together in one massive space opera package. The Trilogy is being released for the Xbox 360, PlayStation 3 and PC, and yes, that means that the original Mass Effect is finally coming to the PS3. For PlayStation owners who have already played the second and third games and just want to find out what they missed in the first, a standalone version of Mass Effect will also be released on the PlayStation Network. Say what you will about how Mass Effect 3 wrapped things up, but there's no denying that $59.99 for the entire Mass Effect collection is a ridiculously good deal. Running through the full Commander Shepard arc as a single epic will eat up a substantial chunk of the remainder of 2012, and it's a hell of a story, too. It's easy to be cynical about a package like this but if you haven't played it, or you haven't played it all, this is a great opportunity to jump in. 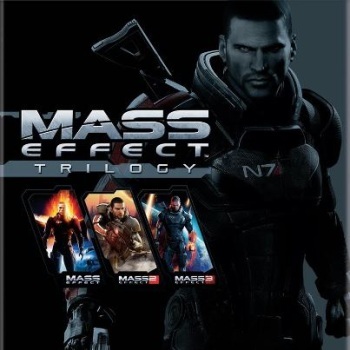 The Mass Effect Trilogy comes out on November 6 for the Xbox 360, PlayStation 3 and PC, but not the Wii U, which will instead have the Mass Effect 3 Special Edition as a launch title. (A cynic might also wonder why you'd bother with that when you can get the entire series on another platform for the same price, but I'm not that kind of guy.) To find out more about the Trilogy and BioWare's N7 Day plans, keep your eyes on masseffect.com.